Find the best prices of Canti wines on the British market. 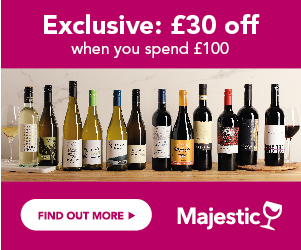 Compare current offers and sign up to Price Alerts - we will email you as soon as there is a discount on the bottle you chose. Search for Price History, vouchers, awards and reviews to find the best balance between quality and price. 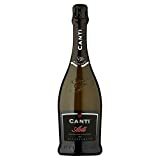 Canti is an Italian wine brand whose aim is to represent the Italian way of life through glamourous wines and be an "ambassador of beauty and pleasure". To do so, they design aesthetic ads representing the "dolce vita" lifestyle but always with sensuality and glamour. 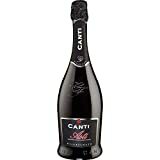 The most recent one for Canti Prosecco shows London turned into Venice with water and gondolas all across the streets. 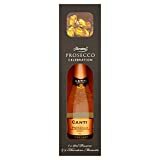 They also have a Prosecco bar in the luxury world-famous Harrods department store in London. The shape of their bottles is unique to be easily recognized. 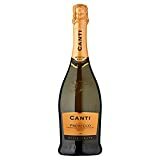 Their main products are Prosecco and Asti but they also produce a wide range of still Italian wines.